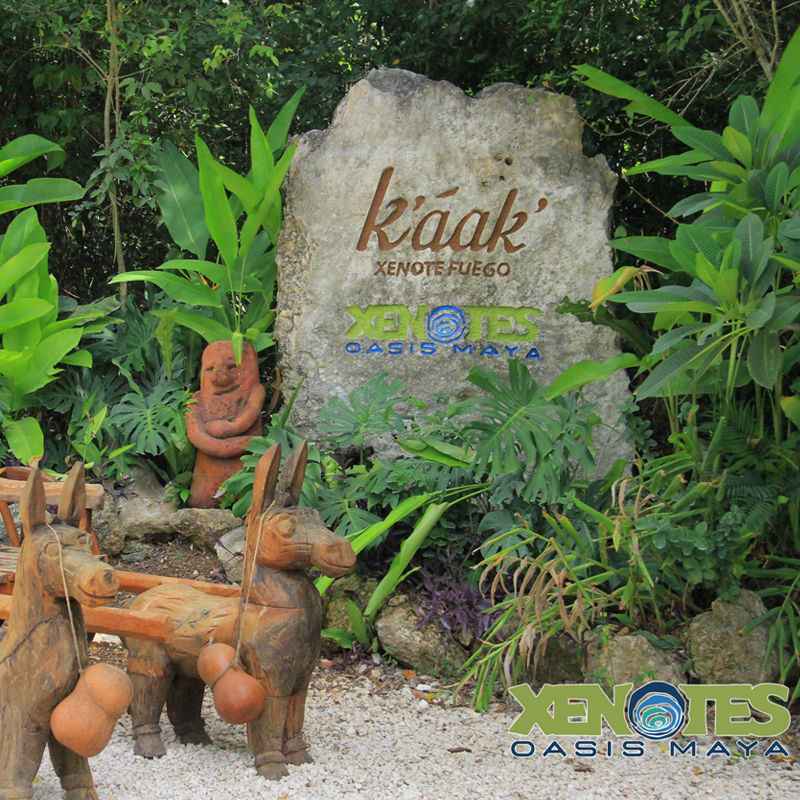 Pick-up is available for hotels located in Cancun and Riviera Maya from Monday to Saturday. Your pick-up schedule will be sent by email after booking. In case we don’t have pick-up service for a specific hotel or location, you will be asked to meet us at the nearest meeting point available. 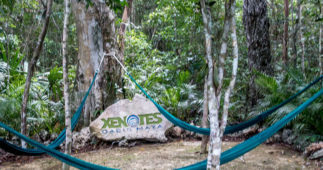 SKU: xenotes-oasis-maya-1. Categories: Tour Packages. 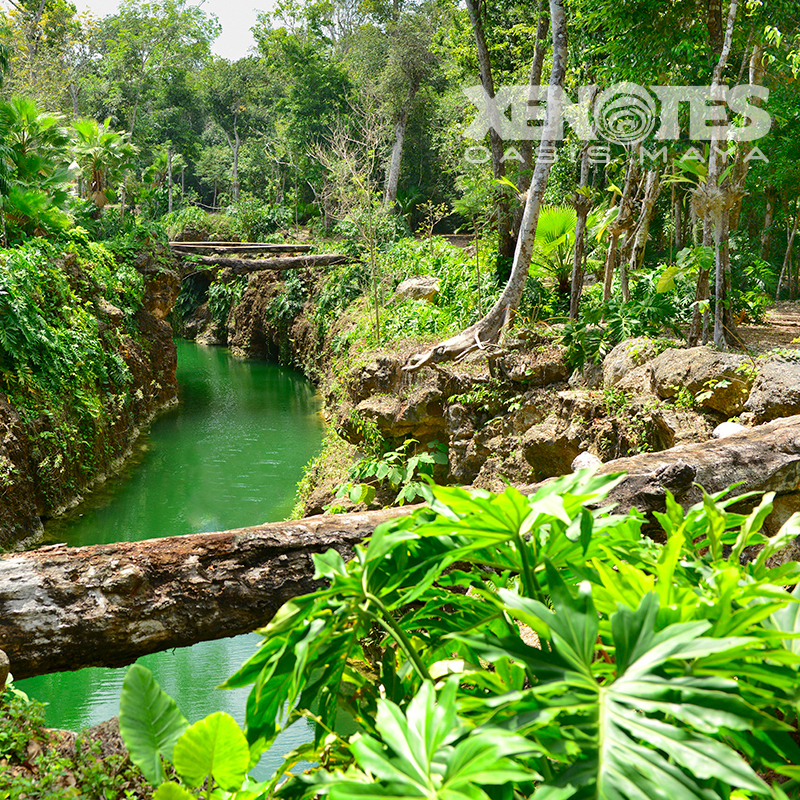 At Xenotes Oasis Maya you will be able to enjoy the best of Nature in the heart of the Riviera Maya, as you visit the four different incredible Cenotes. 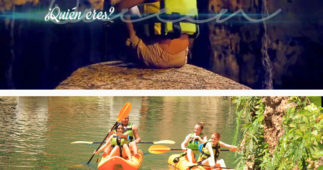 Enjoy activities such as Kayaking, Zip-lines, Inner tubes, Rappeling and Snorkeling. The meaning of the Mayan word Cenote is “a cave with water”, and there are many different types of Cenotes, open, closed, and semi closed, these Cenotes constitute for the largest supply of fresh water in the Mayan Populations, but they were also used as a Burial Chambers long ago, you will be amazed with all of the beauty and mysticism of the Cenotes in the Riviera Maya. 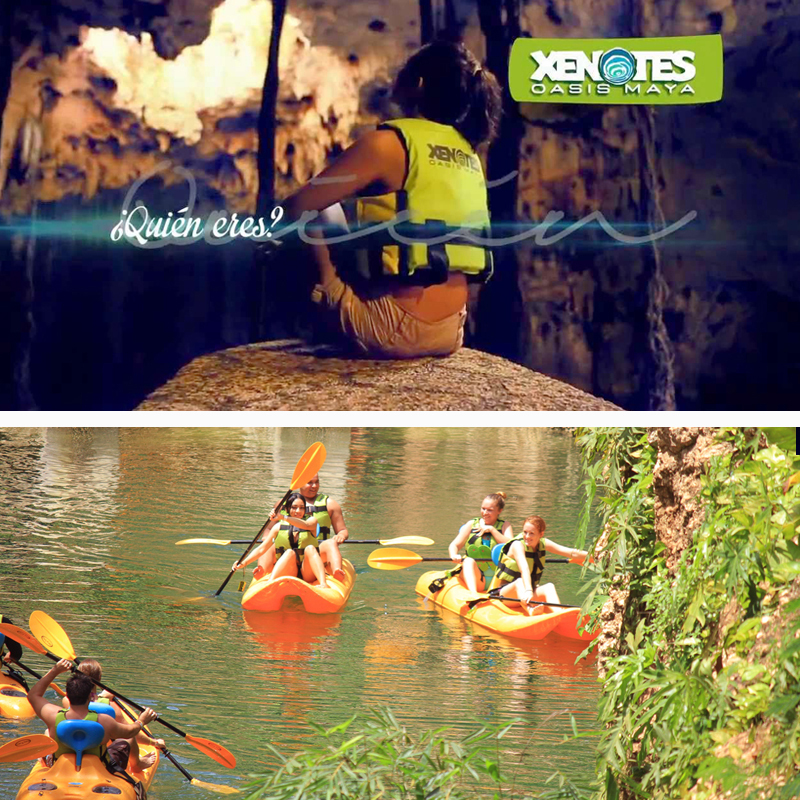 Your tour starts with pick up at your hotel in Cancun or Riviera Maya, and once you arrive to the park our friendly staff will help you with your check in and will then provide you a brief information session of the Cenotes that you will be visiting. Depending on your arrival time to the park the activity start times can be varied. 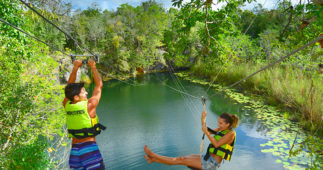 If you would like to Rappel, it doesn’t matter if this is the first time that you have tried this activity, we will make sure that you are safe and really enjoy and have fun, this activity will take a place at the Cenote LU UM surrounded by the rock formations found in this stunning place. 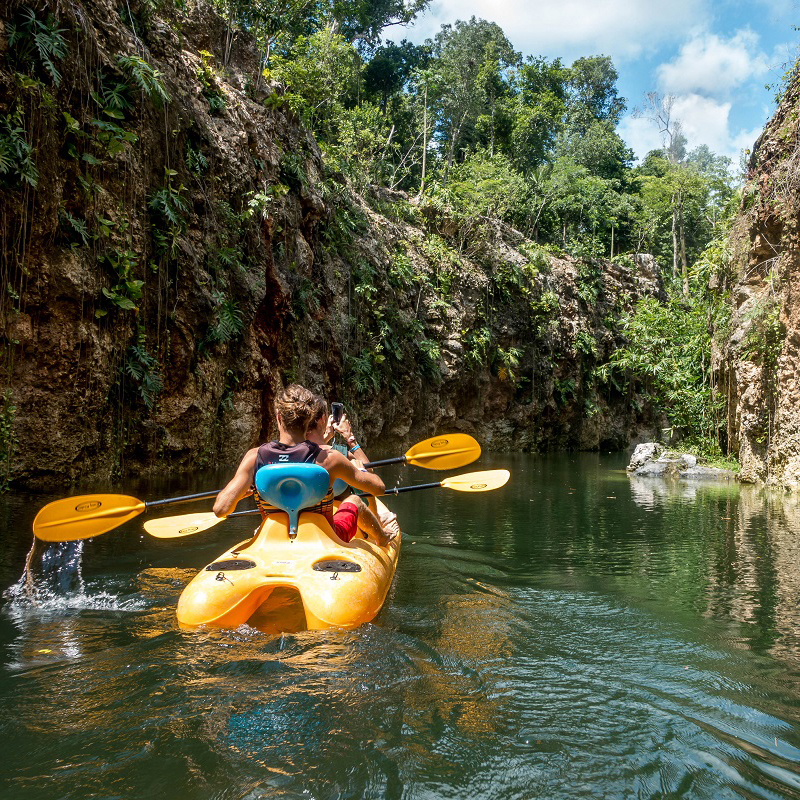 if you choose to Snorkel it will take place at the Cenote Ha that that is the open Cenote, you will be amazed by the great visibility, and you will be surprised of the underwater gardens, full of lilies and the beautiful landscape of the Mayan Jungle. 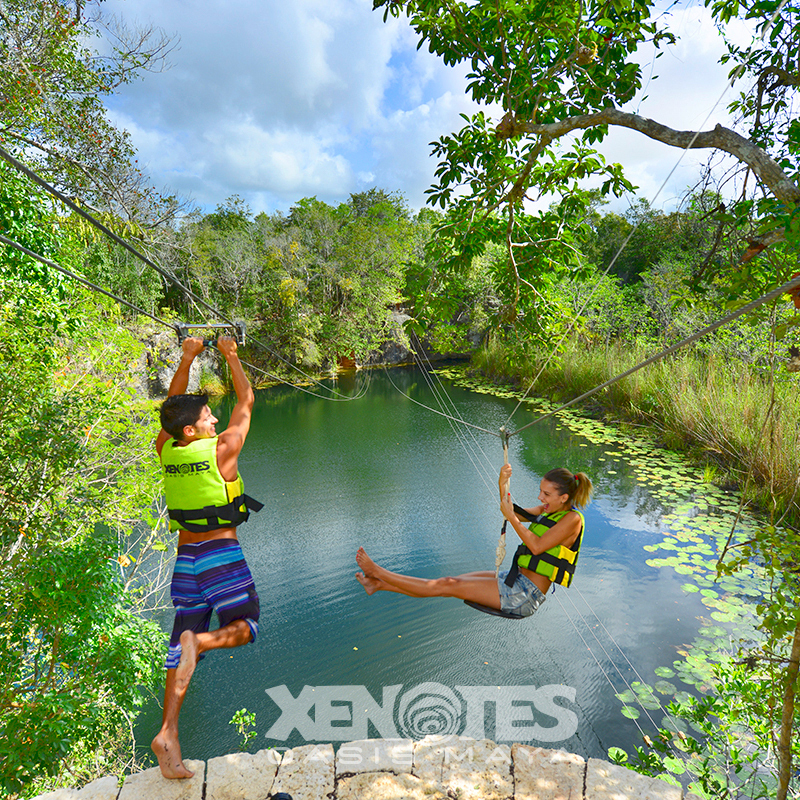 At the Cenote Lik you will have the chance to feel the air on your face as you fly over the Cenote on the Zip line, prepare yourself to feel the adrenaline of flying high over this beautiful view. 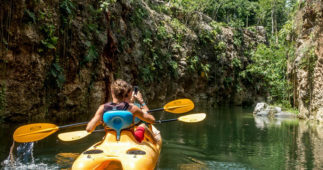 You will be able to go Kayaking at the exotic Cenote K aak surrounded by lush Jungle and full of flowers and wildlife very typical of the region, and if you don´t care to use the kayaks you can enjoy the inner tubes for a relaxing ride. Transportation service from the comfort of your hotel with a specialized guide and tour operator. 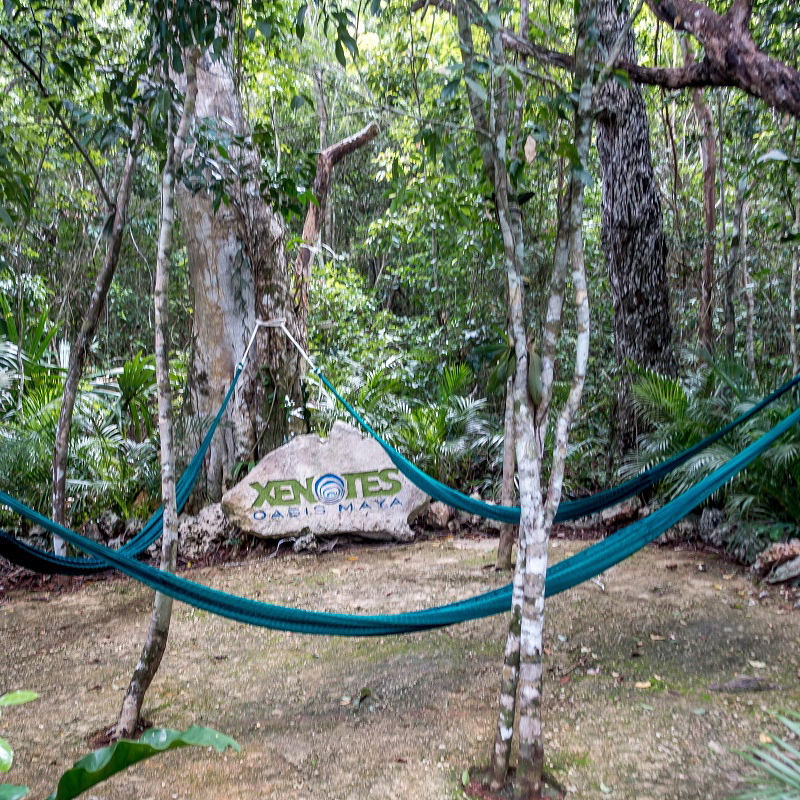 Welcome complimentary coffee, champurrado and sweet breads as well at every Xenote exit, except for the Cenote at which you will enjoy your lunch. Non-alcoholic beverages (water, oragne juice and soft drinks) and seasonal fruits en route. Glam Picnic: energizing selection including fusilli-vegetable soup, fresh bar with premium quality cheeses and deli meats, a variety of rustic breads, dressings, fresh salads, water, coffee, wine and beer. Equipment: life jacket, snorkel equipment, rappel gear. Restrooms, dressing rooms and one towel included in your tour. Non-alcoholic beverages (water and soft drinks) and seasonal fruits on the road. 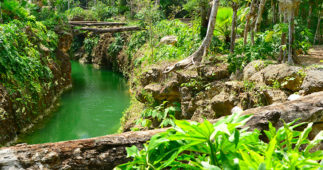 Chocolate, coffee and oatmeal cookies at every cenote exit. Equipment: life jacket, snorkel equipment, rappel gear and/ or inner tube. 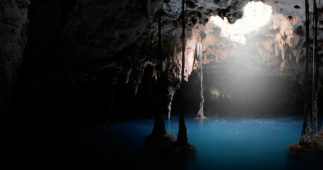 Avoid using makeup or chemical repellents that affect the ecosystem of the cenotes, use only chemical-free sun blockers.